Shopping with the RSPB is a brilliant way of finding perfect gifts for loved ones this Christmas and helping birds and wildlife – every time you shop. I love the fact their products are environmentally friendly too. With everyone focussed on saving the planet, there isn’t a more timely way to change the way we shop. We are very lucky to live near the RSPB Bird Lodge in sandy, its headquarters. We often go for walks around the woodland and take fun shots in the blankets of leaves. This is one from 4 years ago, I just love it. One of my favourite Autumn photos. The RSBP sent us some products to show off their new Christmas catalogue and we were impressed. 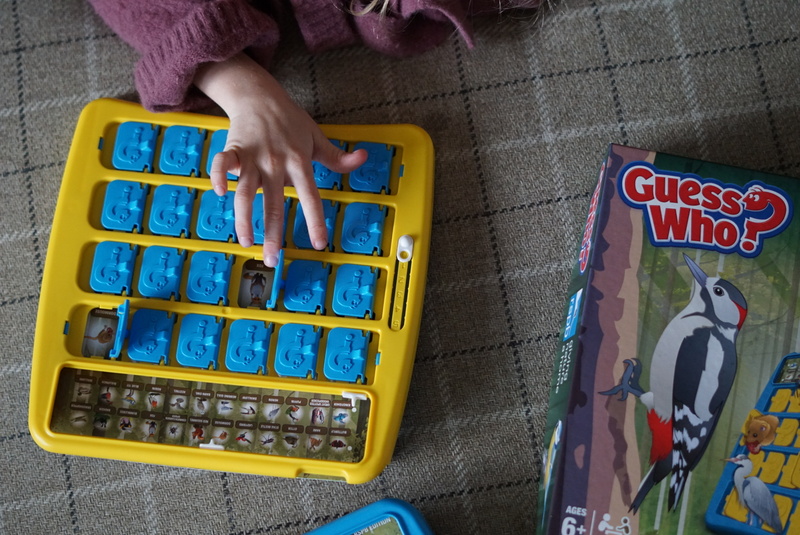 The kiddies love Guess Who and this nature version is a lot of fun and this lovely Hand therapy set – RSPB Victorian flora range for me to try. This is quite simply Guess Who but with a nature twist. Its full of wildlife and it makes a nice change from guessing hair colours. You can choose birds, mammals and insects. I love the fact it encourages the children to learn more about wildlife and when we go walking around the RSPB, they are actively looking for things on our journey. I love Vegan products, animal friendly products is all I am interested in moving forward. This set is lovely, you get two 100ml bottles – one is a hand cream and one is a hand wash. Perfect for when you have been out in the garden, or on a long walk around the bird lodge. They smell amazing too. They initially smell like rose to me, with a citrus hint and there is definitely a woody smell coming through – its like I am walking around the lodge when I wash my hands. At £11.99, it would make a lovely gift for someone at Christmas time. What are your favourite RSPB products in their Christmas catalogue? I would love to know in the comments below or on social media: @mummyconstant.